Blackhawk Movie Directed by Spielberg in the Works | Nerd Much? In a bit of a shocker, it looks as though Steven Spielberg is the next director to be attached to the DC Extended Universe. Warner Bros. has announced that the iconic film maker will be tackling the World War II DC Comics hero Blackhawk as an upcoming project. Blackhawk first premiered in Military Comics #1 under the Quality Comics brand in August 1941. His comic ran through Quality until 1956, and was then picked up by DC Comics in 1957. The character’s last comic appearance was in 1981. Since then, the famous pilot has laid dormant. There have been fleeting mentions of “Blackhawk” in different forms. But the character himself hasn’t been revived in any way. Blackhawk is a character who led an international squadron of fighter pilots against the Axis powers during World War II. Most frequently of which was against Hitler’s Nazi regime. During its early run, Blackhawk frequently outsold all of DC comics outside of Superman. And his character was one of only four DC properties with his out title alongside Superman, Batman and Wonder Woman. 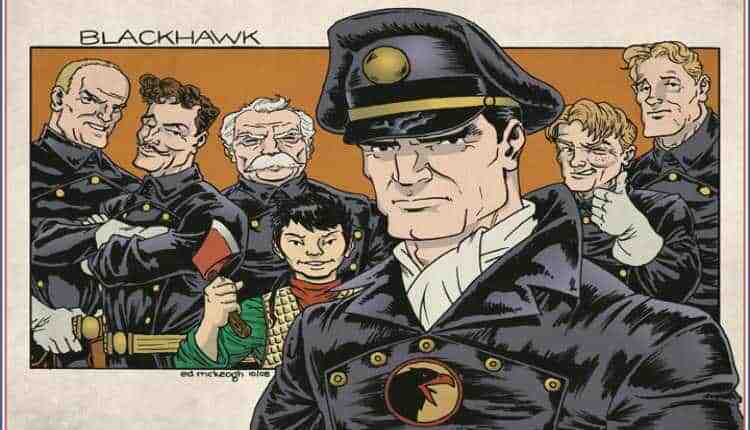 The Blackhawk movie will be produced by Spielberg’s Amblin Entertainment for Warner Bros. The project’s script is to be written by Spielberg’s longtime collaborator, David Koepp. Koepp has helped to write a number of huge Hollywood properties in the past. Some of the most prominent include Jurassic Park, Mission: Impossible, 2002’s Spider-Man, and War of the Worlds. He’s also set to write the upcoming fifth Indian Jones movie. A Blackhawk movie seems like a perfect fit to match Steven Spielberg’s modus operandi. The filmmaker is notorious adept at handling films set during wartime. Within World War II specifically he’s directed Raiders of the Lost Ark, Schindler’s List and Saving Private Ryan. Spielberg looks to be directing the aforementioned Indiana Jones film as his next project. But following that should be his take on Blackhawk. No targeted release date was mentioned by the studio.